Former Megaupload chief Kim Dotcom’s long, wild ride through the courts crashed into another setback Monday, with the Supreme Court declining to hear an appeal in the 2012 seizure of his assets in New Zealand. US prosecutors had charged Dotcom with crimes including racketeering and money laundering related to Megaupload, the file-hosting service they said he operated as a thinly veiled piracy site. In January 2012, New Zealand authorities armed with rifles and tactical gear and accompanied by police helicopters raided his rented mansion at the behest of the US, seizing millions of dollars in property and freezing Dotcom’s overseas bank accounts. 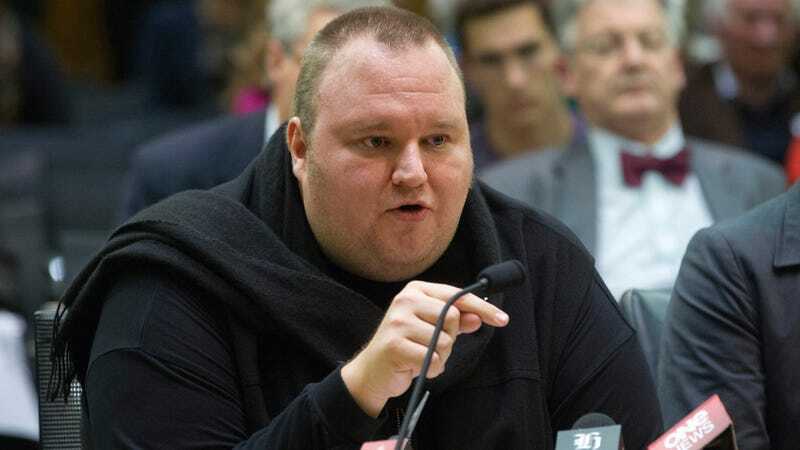 The US government has been trying to get its hands on $40 million of those assets since 2014, saying Dotcom’s web empire profited by $175 million at the cost of some $500 million in stolen intellectual property from the entertainment industry. In 2016, an appeals court ruled the civil forfeiture could move forward because Dotcom never came to the US to contest it—thus making himself subject to “fugitive disentitlement.” That more or less means US courts consider him to have become a fugitive and thus unable to contest the seizures. Civil asset forfeiture is extremely controversial because it does not require a conviction. Yet if courts ruled to contest it, Dotcom would have had to travel to the US, where he would likely have faced a harsher judicial process and much longer prison sentence than if he was convicted in New Zealand. As Ars Technica explained, the Supreme Court’s decision not to consider another appeal basically means he is out of options to reclaim the assets except by petitioning courts in New Zealand and Hong Kong, where they are held, not to release them. Dotcom’s team has long argued the US government cannot apply civil forfeiture powers abroad and that he is not a “fugitive” in a legal sense since he has never entered the country. “We are disappointed in the denial of the cert petition—it is a bad day for due process and international treaties,” Dotcom’s chief counsel Ira Rothken told Ars Technica. Dotcom himself has resisted extradition to the US and is still fighting efforts by the government to do so in court. In February 2017, his defense was dealt a serious blow when the New Zealand High Court ruled Dotcom and three other colleagues, Mathias Ortmann, Bram van der Kolk and Finn Batato, were all eligible to be sent to face charges stateside. But in August, New Zealand courts ruled their intelligence agency illegally spied on Batato and Ortmann, potentially throwing the whole case into jeopardy. Dotcom is not exactly the definition of a sympathetic defendant. A belligerent self-promoter, he’s injected himself into the spread of numerous conspiracy theories online—most recently by claiming to have evidence in the murder of Democratic National Committee staffer Seth Rich, which the far-right crowd insists is linked to Hillary Clinton, that later turned out to have been falsified. Dotcom also threatened to sue Rich’s grieving family for defamation. Also, Dotcom makes cringe-inducing music videos about how wealthy he is. Yet there are several chilling aspects to his case, including whether the US government bullied its way into New Zealand at the behest of the film and music lobby. US police also allegedly abuse civil forfeiture laws en masse, and seized more assets than burglars stole beginning in 2014.